Walk into Sub Rosa Mercantile, and you won't know where to look first: out of a bright, Sunnyside neighborhood shopfront, founder Madeleine Zinn is part collector, part master curator. 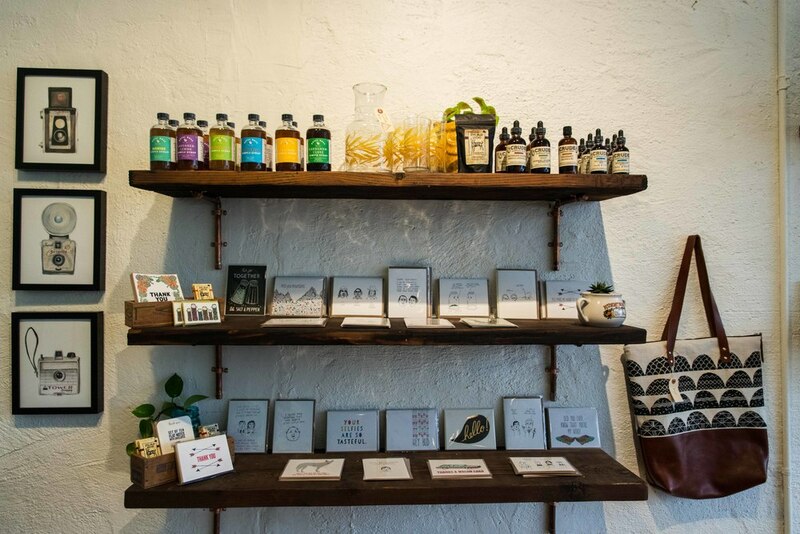 Inside, her shelves showcase a host of home and lifestyle goods that strike a balance between coveted, hard-to-find brands and the wares of local Colorado makers. What does SUB ROSA MERCANTILE mean to you? Freedom. Sub Rosa is my version of creativity since I don’t make anything myself. The freedom to be my own boss, make my own choices, and showcase a set of really amazing people. Thoughtfully-stocked goods for life and home. Housed in a Sunnyside brick and mortar. WHAT'S THE ETYMOLOGY BEHIND THE NAME? I honestly had a list on my phone for things I would name a business for five years. Sub Rosa was on it the whole time, and I think it’s a beautiful word. It means ‘under the rose,’ which historically alludes to secrets and even some religious references, but I just thought it was beautiful word. WHAT IS YOUR STOCKING PROCESS LIKE? Initially, the ideas came from a notebook I kept for a few months. I had a list of what it would look like and what I'd carry. Things from Etsy, Instagram, things I already owned—that’s how it started. Once I actually opened, Instagram became huge for me. I’ve found so many amazing people and products through it. Anything that stands out to me, preferably that isn’t easily found in Colorado, though I’m not exclusive in that way and want to support Denver and Colorado makers as well. I also want to bring things in that people don’t see. DO YOU HAVE ANY FAVORITE BRANDS RIGHT NOW? I just got in some great vegan body products from Brooklyn, I found a girl in Washington whose bags I adore—she doesn’t really do wholesale but I kind of talked her into it, and she’s making them now—I love everybody here, and you end up forming a relationship with every maker. HOW DID YOU FIND YOUR SPACE IN SUNNYSIDE? I was out late one night searching for a very specific flavor of Ben & Jerry’s, and I had already tried to find it in three stores around here. Driving to Safeway, I saw a 'for rent' sign here—it had been vacant for a year. I hadn’t been looking seriously, and I didn’t think I was ready to pull the trigger. Then I called the number, saw the space, and went for it. We had to do a lot of work to the place. It took two weeks just to paint over the previous wall colors. I just knew I had to do it. I wanted to start giving it the time and energy it deserved. Sub Rosa is my version of creativity.